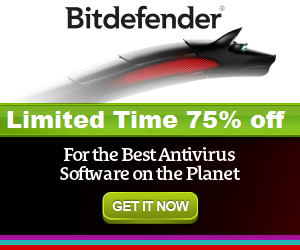 The New Bitdefender Security brings a new feature to address the latest threats. 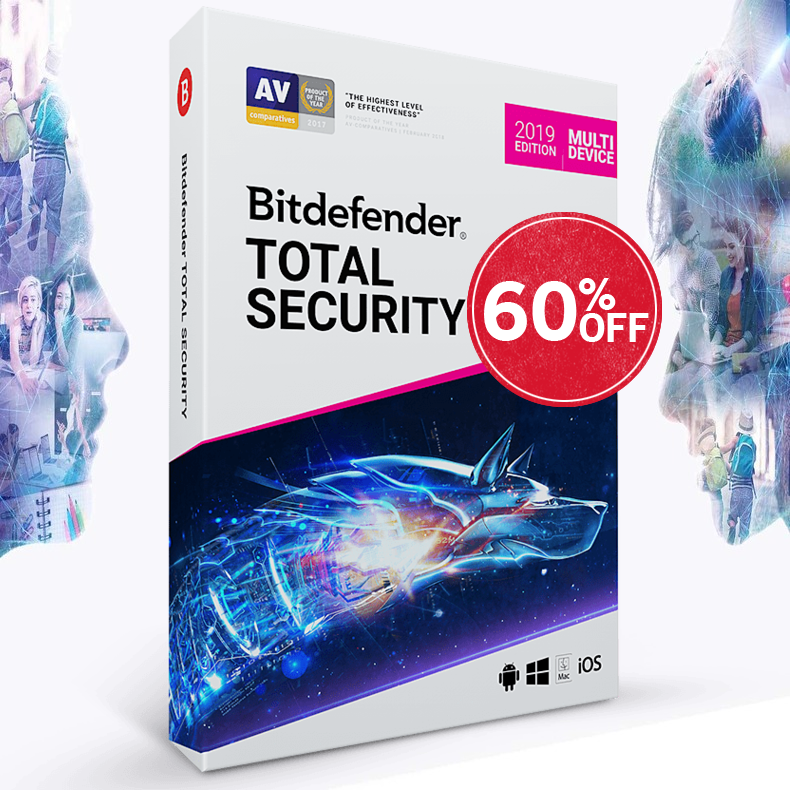 The NEW Bitdefender Webcam Protection prevent webcam leaks in order to keeps your privacy, Webcam Protection feature available exclusively in the new versions of Total Security, Internet Security, and Family Pack. The physical covering of laptop’s webcam has become a norm. Even famous people like CEO of Facebook Mark Zuckerberg and former FBI director James Comey are covering their laptop’s webcams. The reason behind this is that now hackers can tap the webcams of other’s people and peep inside their private life for blackmailing, extortion etc. Today, hackers have built a remote access Trojan malware which they can use to craft the documents, pictures and media files and then trap the user to install or download that webcam spying malware. If the user falls into their trap and downloads the spying malware then this gives the power to the hacker to enable or disable the webcam remotely. Users are unaware of the legitimate applications that have capabilities of webcam tapping. Generally, teenagers fall easily into their traps. They click on the links and download the attachment files sent to them by strangers and thus they become easy targets of cyber predators and peeping toms. Kids who spend more than five hours on their Smartphone’s and a computer, parents must check their activities and should keep eye on their kids in order to make sure that kids don’t fall into the traps of their hackers or talk to strangers and they don’t visit any emotionally damaging websites or download any webcam manipulating software. 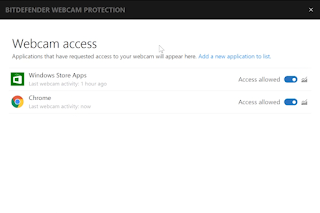 We have introduced a new webcam protection feature with Bitdefender security line that protect the webcam and prevent any unauthorized software to tap on your webcam. Malware is clearly detected by the system and then remove from the search engines but there are chances when some apparently legitimate software might get access to your webcam. 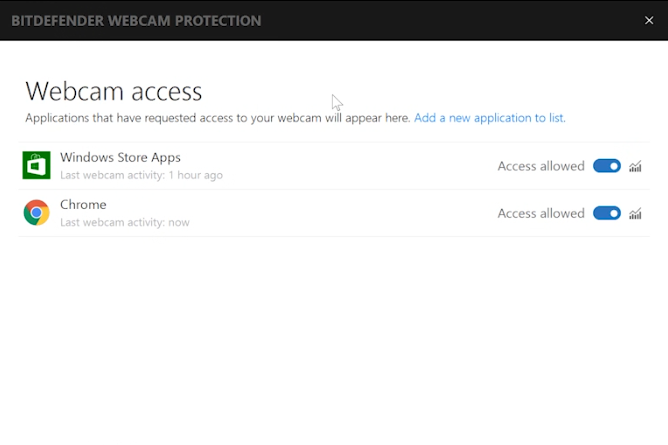 You will get a notification through webcam protection feature when any new application tries to faucet into your camera. This will allow you to get control over who sees you. Even if you have covered your camera lens, the hacker can still hear you because webcam has built in microphones. To protect yourself from such issues, Bitdefender webcam protection feature will block the access of any unknown application to your webcam.